Jane Burston is head of energy and environment at the UK’s National Physical Laboratory. In 2002, the European satellite Envisat gave the world its first operational orbiting sensor for detecting atmospheric greenhouse gases from space. Since then, dozens of missions have launched or are being planned around the world – including most recently by US NGO, the Environmental Defense Fund – each promising increasingly precise and comprehensive ways of monitoring greenhouse gases from orbit. Improved greenhouse gas monitoring is important if we are to meet the goals of the Paris Agreement on climate change. Monitoring is needed for many reasons: to report emissions to the UN Framework Convention on Climate Change (UNFCCC); to determine where to focus reduction efforts; and to track the success of policy interventions. However, satellites are not yet capable of replacing our current systems for reporting emissions. Instead, they are complementary, adding to our knowledge about the factors causing emissions – and how those emissions affect the climate. At a sub-national level, cities and regions are increasing monitoring efforts. Thousands of cities and regions have voluntarily signed up to reducing their emissions through platforms like those provided by CDP, ICLEI and C40. Many industrial companies also want to measure emissions on their sites, driven by the need to comply with regulation and, in the case of gas extraction and transport, to ensure they are not losing a valuable commodity. Greenhouse gases are hard to measure: there are multiple natural and anthropogenic sources at all scales which are unpredictably distributed in space and time. In the oil-and-gas sector, for example, gas pipelines can be tens of thousands of kilometres long, some facilities are in remote areas making accessibility a challenge, and emissions might be sporadic – occurring when specific processes are running rather than continuously. In the agriculture sector, sources of emissions include livestock, which are small points of geographically dispersed emissions, and rice paddies, which stretch across large amounts of land in tropical regions and emit variably, depending on the time of year and the weather. Currently, these emission sources are measured using ground-based techniques, but these are by no means perfect. Covering all the world’s sources with sensors is financially and practically impossible. Regional data from aircraft and networks of tall towers are expensive and labour intensive to maintain. On the face of it, satellites could overcome these issues. The same sensor could provide global coverage, ensuring consistent measurements and overcoming the issues of inaccessibility and cost. Satellite capabilities have already come a long way since the debut measurements of Envisat 16 years ago. 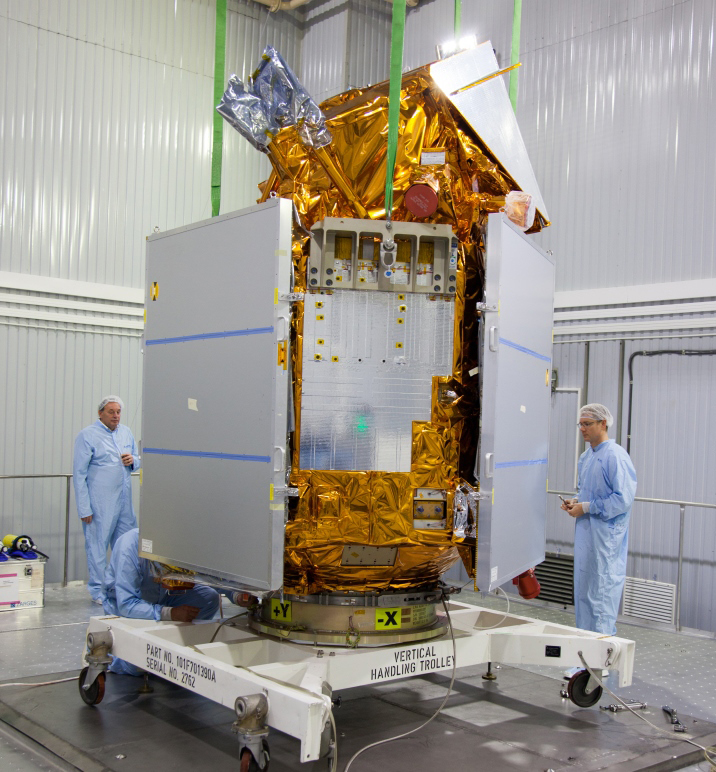 The European SCIAMACHY sensor on-board Envisat was constrained by a large field of view (30km by 60km), suitable only for studying regional or global distribution of greenhouse gases in the atmosphere. 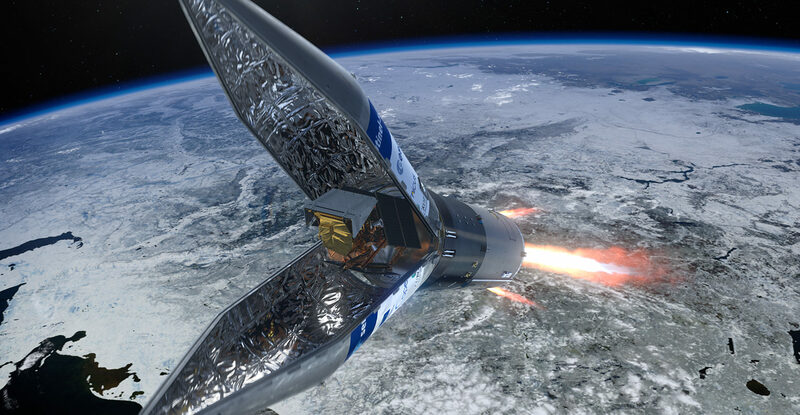 In comparison, Europe’s latest satellite capable of monitoring methane, Sentinel-5P, provides greater spatial resolution, with a field of view of 7km by 7km. Global coverage, however, is not as simple as it seems. Current satellite instruments rely on sunlight to measure greenhouse gases, meaning they cannot operate at night or see through clouds. This is a particular problem for tropical regions, which are big sources and sinks of greenhouses gases due to expanding wetlands, an abundance of rice paddies and extensive forest-burning to provide land for farming. A satellite’s orbit also restricts where and when it can make a measurement. Most satellites pass over the same area of ground every two weeks or so, restricting the ability to provide repeat measurements of a single location over a short amount of time. Future satellite designs, orbits and the use of constellations – groups of satellites working together – could get around some of these problems. NASA’s planned GeoCARB mission will operate in geostationary orbit, meaning it will travel at the same speed as the Earth rotating below it, allowing it to stay above the same point on Earth above North and South America. This ability to stare at a point for longer than other satellites, along with flexible scanning patterns and a small footprint, will enable the satellite to make cloud-free measurements over most of the Americas at least once per day. However, this comes at the expense of global coverage, which can only be overcome by launching constellations at enormous cost. Another approach is for a satellite to produce its own source of light instead of relying on the sun. The planned Franco-German MERLIN satellite design includes its own active laser source, allowing it to measure in darkness. Unfortunately, the power of the planned laser limits the areas over which measurements can be taken to a thin “pencil-line” track that will limit timely global sampling. Additionally, the instrument cannot see through clouds, so will not boost monitoring in the tropics or in other cloudy regions. Arguably, the biggest issue is that current satellite technology is not sensitive enough to detect many sources of emissions. In order to deliver quantification of greenhouse gases, resolutions on the order of metres – not kilometres – will be required. Commercial satellites are coming onto the market claiming capabilities for making point-source greenhouse gas measurements down to the sub-50 metres level. If proven, this technology could be game-changing for facility-scale monitoring. However, currently no publicly available validation activities have taken place. Until this happens, the precision and useful applications of these satellites cannot be established. This means that industrial facilities will need to rely on ground-based measurements or aerial flyovers for some time to come. Direct quantification of emissions using satellite data is also not currently robust or granular enough to provide direct measurements of greenhouse gas emissions to contribute to UNFCCC reporting. Even though they lack the capability to detect and quantify individual sources, satellites can still play two roles in emissions reporting. The first is to improve data about those activities taking place that can affect emissions, and to what extent, rather than measuring the greenhouse gas emissions directly. For example, satellite images can enable us to see where deforestation is happening. This is very different to measuring the amount of CO2 taken up by, or the greenhouse gases emitted from a forest. Activity data – such as deforestation rates – is only part of the puzzle, but it is a significant part. The second is a potential longer-term role. The UNFCCC guidelines allow countries to supplement their “bottom-up” emissions inventory reporting, which work by using facility-by-facility information, with “top-down” measurements and reporting of atmospheric concentrations, which is a useful “sense check” on the inventory. The UK already makes these measurements using a network of tall towers, such as Ridge Hill in Herefordshire and Mace Head in Ireland. As capabilities improve in the future, it is possible these atmospheric measurements could be aided by satellites. As well as reporting emissions, the data provided by satellites, such as Envisat, have also proved a key tool for academic study. The data might be too coarse for quantifying individual sources of emissions, but the regional and global scale measurements have given scientists a better understanding of the carbon cycle and improved modelling of atmospheric dispersion of emissions. 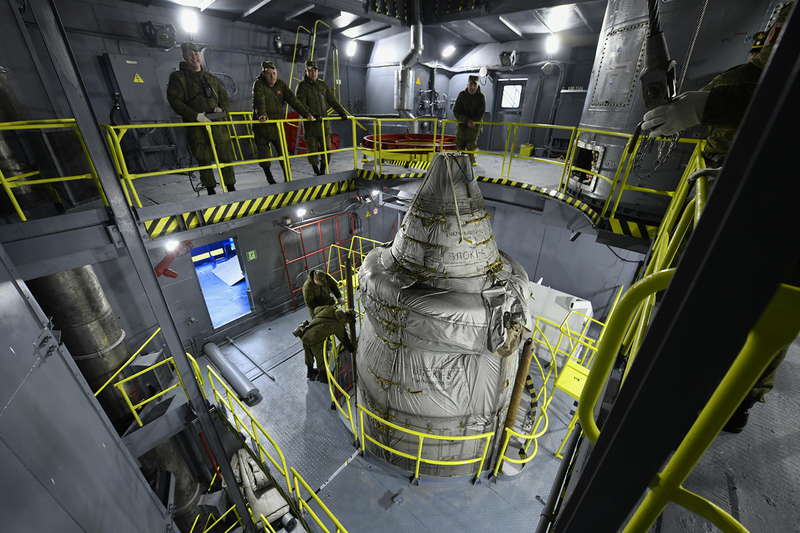 Sentinel-5P, for example, aims to improve our understanding of chemical processes occurring in the atmosphere and how these are linked to our climate. Do satellites hold the answer to comprehensive round-the-clock monitoring of greenhouse gases and their sources? Not yet. Satellites are certainly not yet capable of replacing components of the current ground-based monitoring and inventory system. However, seeing satellites as a direct replacement for ground-based monitoring may be missing the point. We will always need to use a variety of data sources; combining them can yield the most accurate and comprehensive results. Continued development and complementary use of satellites, alongside other techniques, will provide valuable data that will ultimately help improve our understanding of emissions and allow us to eventually get on top of reducing them.